It’s no secret I’ve been doing a lot of canning this year, and much of what I’ve done I have shared with you. Part of what I love about canning (and this is the design geek in me on full display) is creating the unique “packaging” for each batch and flavor. To me, a batch of jam isn’t complete until it’s labeled. In continuing with that sharing spirit I’ve put together a few printables for you of the labels I’ve created this year so far. Last year I put them along with the posts themselves, which was much more logical. I should have done it this year too. Perhaps I’ll make an effort to do it next year. But for now, here are the jams of 2012, in printable form! 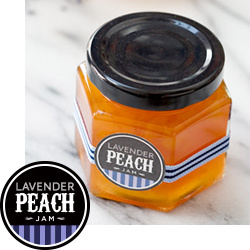 Peach Lavender Jam – Labels in two sizes, one perfect for the lids of narrow mouth mason jars, the smaller size could be used as a hang tag or as a label on the side of a jar and paired with a pretty ribbon. Need plain label paper? I get mine here. 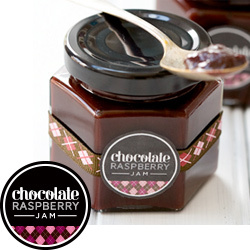 Chocolate Raspberry Jam – Labels in two sizes, one perfect for the lids of narrow mouth mason jars, the smaller size could be used as a hang tag or as a label on the side of a jar and paired with a pretty ribbon. 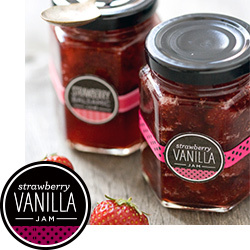 Strawberry Vanilla/Strawberry Balsamic Jam – Labels in two sizes, two varieties. Larger size is perfect for the lids of narrow mouth mason jars, the smaller size could be used as a hang tag or as a label on the side of a jar and paired with a pretty ribbon. 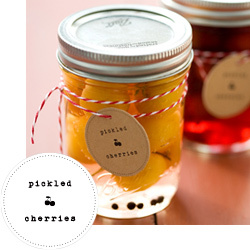 Pickled Cherries – Labels in two sizes, one perfect for the lids of narrow mouth mason jars, the smaller size could be used as a hang tag tied with baking twine. 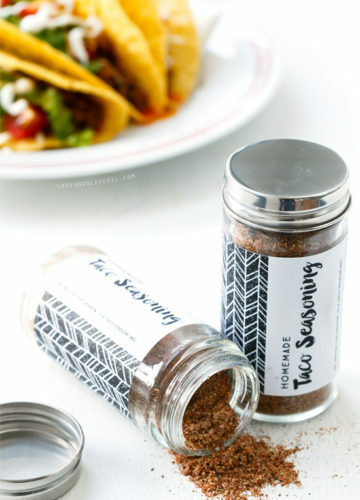 Print these labels on kraft labels or recycled brown paper bags. Those labels are one of the coolest things I’ve seen lately. Plus it’s so nice of you to share your original designs with us. Thanks so much! 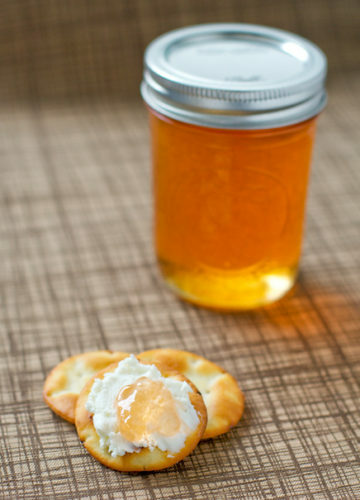 I can’t wait to make that strawberry vanilla jam. Thanks for these! I just saw labels at the store today and almost bought them. Glad that I waited. I didn’t realize you could can with standard (one piece) screw tops! 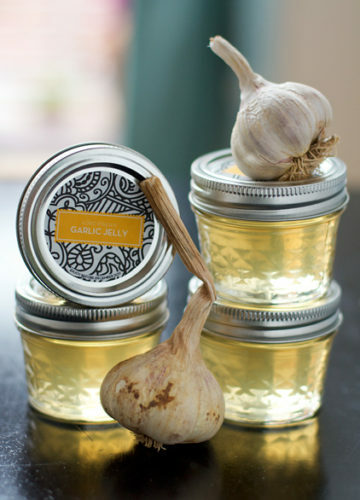 I love those jars and your labels are super cute. I’m so glad you posted these! They’re so adorable! Thank you, Lindsay! These are great! 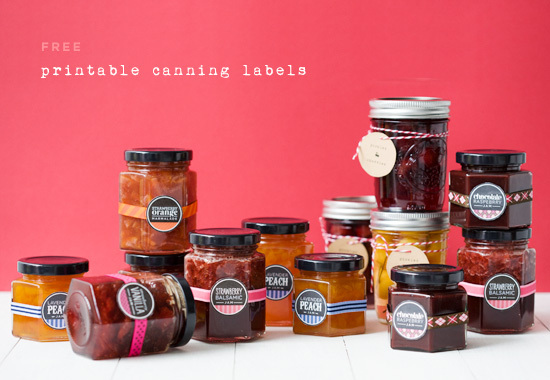 I was just wondering what program you use to design your labels…they are so cute! Thank you for sharing these neat labels with all of us. 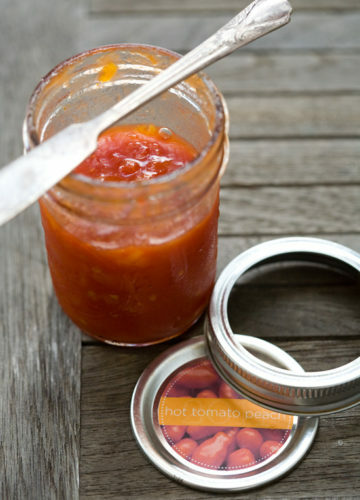 I am interested in getting into the “canning” process. Is there any books you referenced before beginning to can on your own? If so, would you mind sharing. I would love to read on it and be able to put it into practice. Love these! What program did you use to create them?! I couldn’t get any of the labels to download. What could I be doing wrong? They are PDF files. If they don’t download automatically try right clicking and choose Save As. See if that works. I have an important question that hasnt been asked or answered yet, how long can you keep the preserves? I am a bit reluctant to keep them out of the fridge for some silly reason, I remember my mom keeping them in the garage/basement. But its cool there and I dont have that, I only have a one bed flat and no extra storage. I am doing them for Xmas presents, will they keep till Xmas? and how longer after that? They were made yesterday. Many thanks for all this previous information and thank you for sharing all those cool things!! Properly sealed they should keep about a year in a cool dark place. 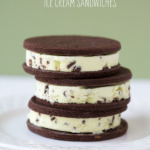 But once opened they should be refrigerated and used probably in a few weeks. 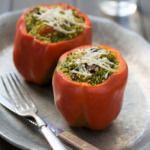 Rereading your comment I realized you said you used stevia. Honestly I would check with the Ball website or USDA about that. The sugar is what preserves the jam and I have no idea if a sugar substitute would do the same. Better safe than sorry I guess! Are these 2″ or 2 1/2″ rounds? Thanks! Each file has two sizes, a small 1.25″ size, and the larger size is just under 2″.